Please join us for today’s service led by Rev. Paul Dodenhoff. 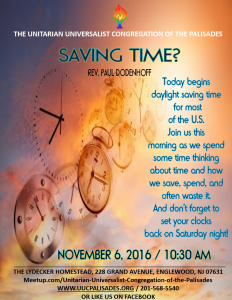 Today begins daylight saving time for most of the U.S. Join us this morning as we spend some time thinking about time and how we save, spend, and often waste it. 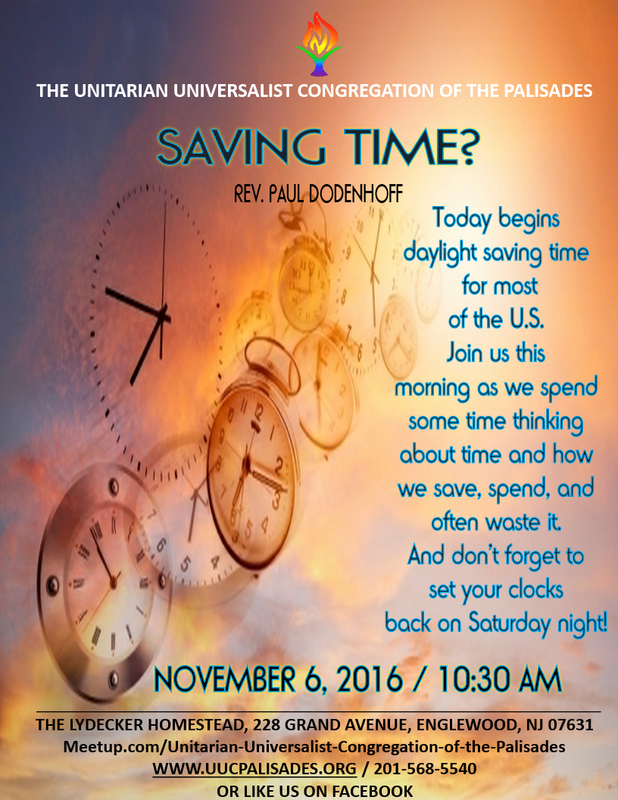 And don’t forget to set your clocks back on Saturday night!